Registration Is Open For Annual Bike to the Sea Day Ride – Bike to the Sea, Inc. Registration is now open for the annual Bike to the Sea Day Ride being held Sunday, June 12, 2016 at 8:30 a.m.
You can register online at Active.com. Individual adult registrations cost $25. Family registrations (for two adults and two children) cost $35. You can also register the day of the ride at the starting point, the Madeline English School, 105 Woodville Street in Everett MA. Arrive at 8:30 a.m. to register and sign a waiver. 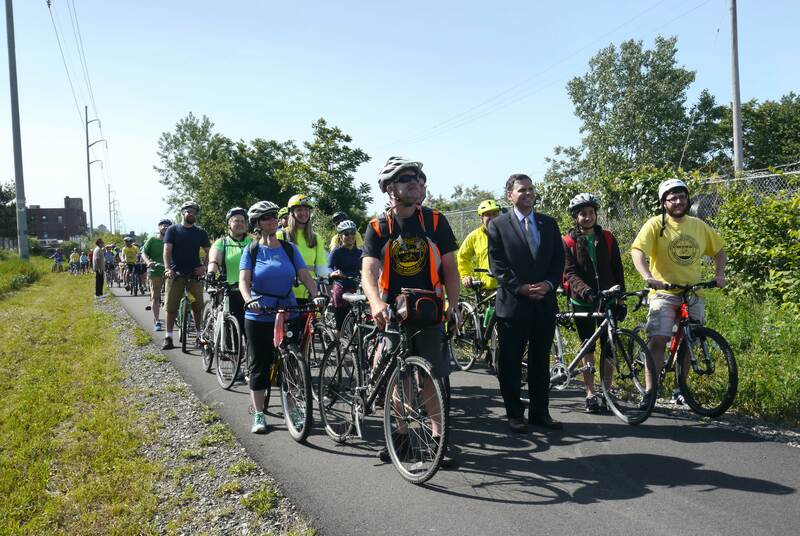 The ride from Everett, through Malden, Saugus, Revere and Lynn to Nahant Beach is designed to bring attention and support to efforts to complete the Northern Strand Trail, which began 23 years ago in 1993. It is designed for bicyclists ages 8 and older and participants can choose the shorter 14-mile course or the full 20-mile route. The routes includes both off-road and on-road riding. Police escorts are usually given to assist bicyclists at major intersections and there is a support vehicle following along to help anyone who needs it. The full trip, from Everett to Nahant Beach and back to the Dockside Restaurant on Centre Street in Malden (for a pizza lunch) usually takes a little over three hours. When completed, the trail will run about 10 miles from Everett, through Malden, Revere, Saugus and Lynn, to Nahant Beach. Portions of the trail in Everett, Malden, Revere, and Saugus were opened over the past three years and bicyclists, walkers, joggers, roller skaters, dog walkers, cross-country skiers and others have been enjoying it. Bicyclists stop for a short break at the half-way point in Saugus last year. Click to see a larger photo. (Photo by Mark Micheli).